Join our team this Sunday April 2nd at our brand new listing on Iris Way! You'll love this 3 Bed 1 1/2 Bath Ranch that is completely move in ready! Call 502-371-1173 for more information or attend the Open House! We would love to give you a tour! 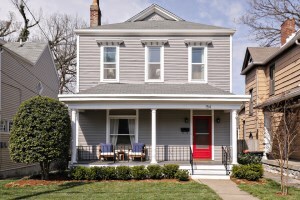 154 N Bellaire Ave Louisville KY 40206 is a stunning three Bedroom 2 Full Bath home in desirable Clifton. 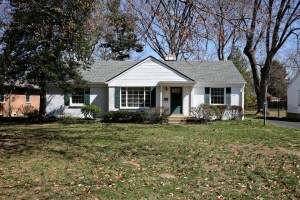 The property is located just off of Frankfort Ave near shopping, dining, & parks! The home is completely move in ready with a meticulously maintained interior. The front porch & entry Foyer welcome guests. 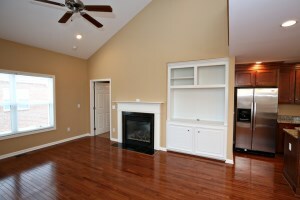 The Living Room showcases sparkling hardwood flooring & decorative only fireplace. 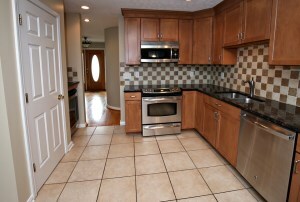 The Eat In Kitchen has been updated & includes double sink, tile back splash, & recessed lighting. The first floor also offers a Full Bath, Sitting Room, & Bedroom. Upstairs you'll find two good sized Bedrooms (one with an attached Sitting Room & decorative fireplace). The 2nd Level Florida Room with built in bookshelves is the perfect spot to relax with a good book. There is also a Laundry Rm & Full Bath on the 2nd Level. 154 N Bellaire Ave Louisville KY 40206 has a cellar with plenty of storage space as well as a landscaped yard. The back yard is fully fenced with a sunny deck. 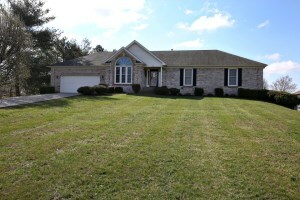 Call today for more information about this fabulous home in Louisville! 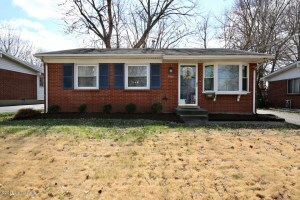 4815 Manslick Rd Louisville KY 40216 is a fantastic three bedroom two full bath ranch. 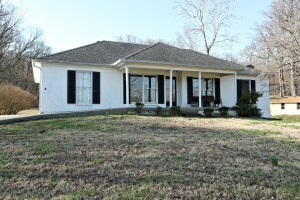 The meticulously maintained home sits on almost two acres in Jefferson County! The cheerful front porch welcomes guests. The Living Room features hardwood flooring. 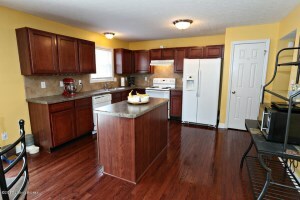 The Eat In kitchen offers custom cabinetry, black appliances, double sink, & pleasant dining area. 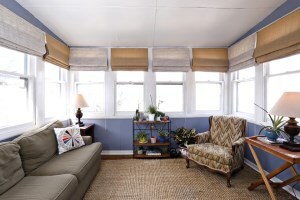 New owners will love relaxing with coffee and entertaining in the Florida Room. 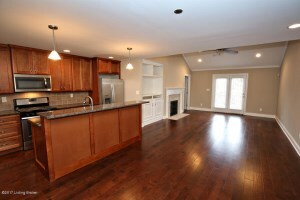 There are two bedrooms on the main level, one which features hardwood flooring. The first level also includes a Full Bath. 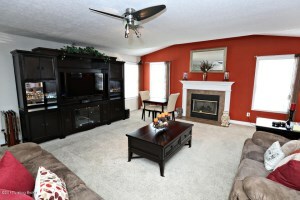 Downstairs you'll find a large Family Room as well as a Bedroom, Full Bath, & Laundry Room. Two detached garages (1 car & 2 1/2 car) provide the perfect spot for storage & project work! 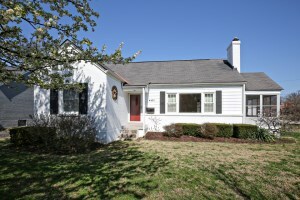 The exterior of 4815 Manslick Rd Louisville KY 40216 is lovely & park like with a sunny deck. 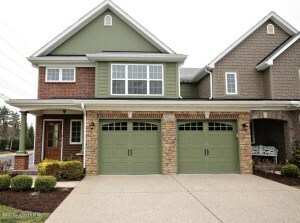 To view this home or hear more about homes for sale in Louisville, KY call 502-371-1173 today! 10212 Dorsey Pointe Circle Louisville KY 40223 is a lovely three bedroom two and a half bathroom townhome in Dorsey Pointe. 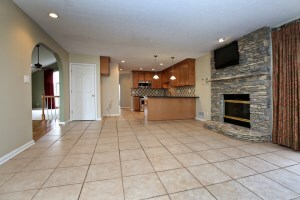 The property is an end unit and showcases an open floor plan. The interior is quite spacious with a welcoming front foyer. 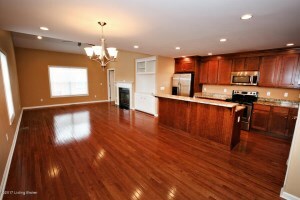 The large Kitchen is open to the Dining Room & Great Room. 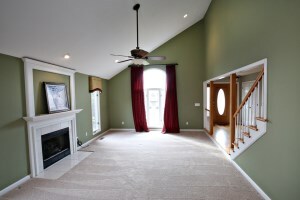 The Great Room displays a vaulted ceiling, built in book shelf, & fireplace. The Master Bedroom is conveniently located on the first floor with walk in closet & luxurious Master Bath with shower, jacuzzi, & double fanity. The home also has a first floor Half Bath & Laundry Room. The upper floor opens to a large loft that overlooks the Great Room below. 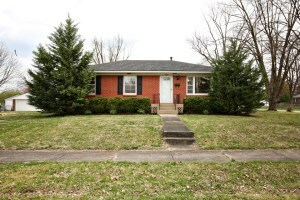 10212 Dorsey Pointe Circle Louisville KY 40223 has two Bedrooms on the second level that share a Jack & Jill Bath. There is also a huge unfinished walk out basement as well as a 2 car garage. New owners will love the tasteful design & great location! Call today for a private tour or to discuss Louisville Real Estate. 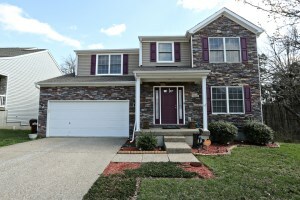 Joint Our Team this Sunday March 26th for 3 Open Houses in Louisville! We will be holding three of our newer listings open in Clifton, Dorsey Pointe, & Hallsdale Acres! You'll love the spacious interiors & tasteful designs. Call us at 502-371-1173 for more information about these & other beautiful homes for sale or visit with us this weekend! At Home In Louisville Real Estate Group will be hosting 4 Open Houses This Weekend! 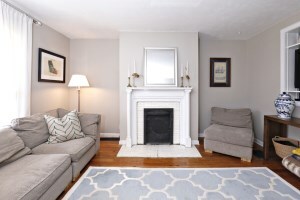 On Saturday from 1:00-3:00 join us at 307 N Bonner Ave in Westport Gardens! 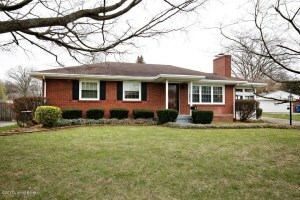 This is a completely move in ready 3 Bed, 1 Full Bath Ranch. Our beautiful new listing, a four Bed 3 Full Bath ranch in Shepherdsville (327 Shepherds Way) will be open from 12-3 on Sunday. Also, on Sunday from 2-4 our listings at 7916 Edsel Ln & 5000 Roaming Plains will be held open. 7916 Edsel offers 3 Bedrooms and 1 Full Bath and our listing at 5000 Roaming Plains includes 4 Bedrooms and 3 1/2 Baths. Call 502-371-1173 for more information about any of these fantastic homes for sale in Louisville or visit with us this weekend! Directions: S Hurstbourne Parkway, L on S Watterson Trail, L on Fair Ln, L on Street (Home on the R). Join At Home In Louisville Real Estate Group this Sunday March 12th from 2-4 at our brand new listing on Blenheim Rd in Beechwood Village! You will fall in love with the fabulous location close to shopping & dining. The home is move in ready with 3 Bedrooms, 2 Full Baths, a basement, & 1 car detached garage! Call 502-371-1173 for more information about this spectacular home in Louisville! 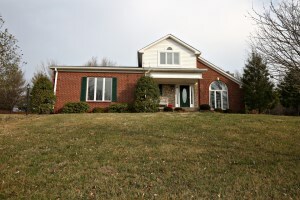 5000 Roaming Plains Ct Louisville KY 40229 is a beautiful four Bedroom three and a half bath home in Indian Falls. The house sits on a quiet cul-de-sac lot. A cheerful front foyer greets guests and leads to the Formal Dining Room with abundant natural light & a decorative chandelier fixture. The Eat in Kitchen offers a pleasant dining area that accesses the back deck. 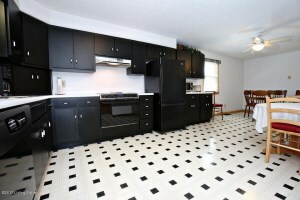 The kitchen also offers plenty of cabinet space. The Great Room is spacious with a handsome fireplace. The first level also includes a half Bath. The Master Bedroom features a lovely attached Master Bath with jacuzzi tub, shower, & double sink. The 2nd floor also includes three more Bedroom, a Full Bath, & Laundry Room. 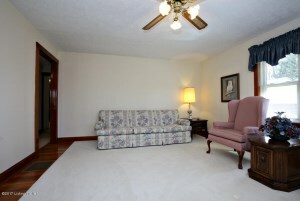 The walk out basement is large with a Family Room, Full Bath, & two additional rooms. 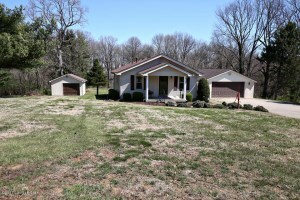 5000 Roaming Plains Ct Louisville KY 40229 also offers an attached two car garage. The back of the home is perfect for outdoor enjoyment with a relaxing deck & grassy yard. New owners will appreciate the desirable neighborhood with pool! Call 502-371-1173 for more information about this wonderful home in Louisville! Join At Home In Louisville Real Estate Group this Sunday March 5th 2017 from 2-4 at one of three beautiful homes for sale! We would love to allow you to tour these stunning homes and tell you all about the Louisville Real Estate Market. Enjoy a pleasant Sunday as spring approaches & stop by to see us! 112 Cherry Hills Ln Louisville KY 40245 is a beautiful three Bedroom, two and a half bath home on a half acre lot in desirable Persimmon Ridge. The current owners have made incredible updates inccluging hardwood, carpeting, fresh paint, lighting, kitchen remodeling, & bathroom remodels! An inviting front porch welcomes guests and leads to the foyer with hardwood flooring. The Great Room features a warm fireplace, recessed lighting, vaulted ceiling & opens to the Dining Room with palladium window & hardwood flooring. The Hearth room features a stone fireplace & tile flooring and opens to the remodeled Kitchen w/ updated counters, recessed lighting, plentiful cabinetry, double sink, & tile back splash. The Master Bedroom is spacious with its own access to the back patio. The Master Bedroom showcases a remodeled walk in closet with built in shelving & a spa like Master Bathroom with a claw foot tub, tile walk in shower, & dual vanity. A half bath & Laundry round out the first level. Upstairs you'll find two more bedrooms and a Full Bathroom. 112 Cherry Hills Ln Louisville KY 40245 offers a tranquil back yard with an outdoor fireplace, patio, & lovely views beyond. The home also features a two car garage. Call 502-371-1173 for additional information about this fantastic home for sale in Louisville!